Hey everyone, I’m back again! Sorry for the long gap between posts, but It has been a busy time in the midst of the holidays, class, and work. 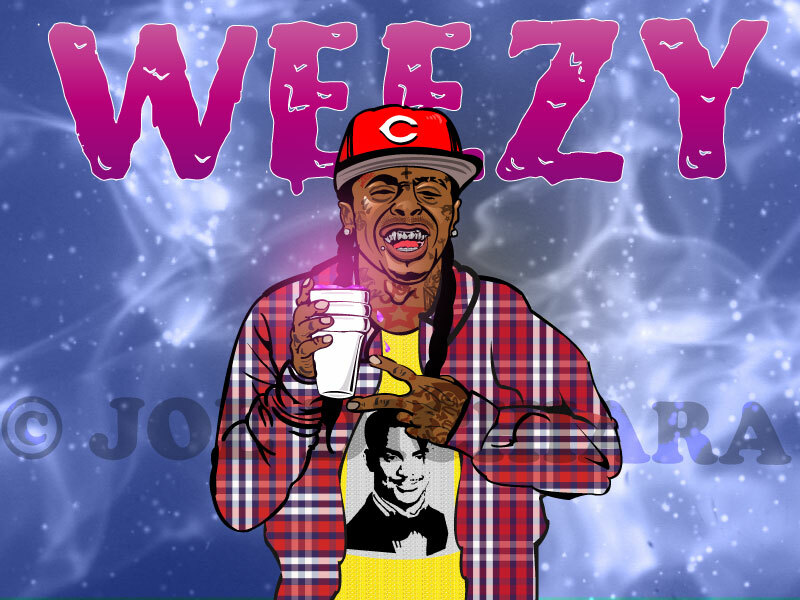 This week I am posting to https://joedichiara.wordpress.com a new music illustration of Lil’ Wayne. Last month he was released from prison so I decided to take new techniques and styles I have been toying with and apply it towards a new piece. This artwork is done entirely using Adobe Illustrator CS4. (One of my first to use it in its entirety) In the coming weeks I plan to post more illustrations in this style. So here is this weeks artwork which I will post the final composition next week after I tweak it up a little. Here is a video off of Weezy’s album “I Am Not A Human Being” which was released while he was still in prison.